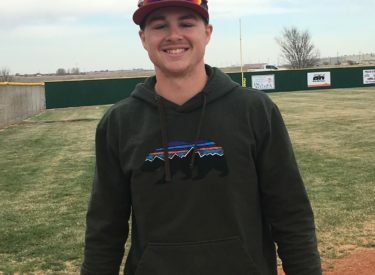 Liberal junior baseball player Braxton Hyde is the Hay Rice and Associates Athlete of the Week. Hyde is 2-0 on the mound with a .50 ERA. He has 20 strikeouts and one walk for the 4-1 Redskins. Hyde is hitting .385 with four RBI’s. Hyde also plays football and basketball. He is a member of the Mirage yearbook staff and NHS at Liberal High School. Hyde and the Redskins host Great Bend Friday at 4 on 1270 and kscbnews.net with Redskin Pre-game at 3:45.